An osteopath specialises in the treatment of the musculoskeletal system. Osteopaths believe that the body can heal itself if the right combination of manual techniques such as massage and the manipulation of muscles, joints, ligaments and tendons are used to bring the body back to a cohesive whole.Osteopaths usually treat patients who complain of:headaches, bad backs, neck pain, sports and work injuries, sciatica, repetitive strain injuries (RSI), asthma, joint pain, menstrual problems, pregnancy problems.There are also many other conditions that may benefit from treatment by an osteopath. Osteopaths take a case history of each patient. They observe how the patient’s body functions when they sit, stand and lie down, as well as physically examine the patient by using palpation to determine which areas of the body are healthy and which are in pain. An osteopath also observes the spine, shoulders , pelvis and limbs. At the initial consultation, the osteopath will devise a treatment plan for the patient, if he or she thinks that osteopathic treatment is suitable. If the osteopath determines that osteopathic treatment is not suitable for the patient, they will refer the patient to the appropriate health professional. Osteopaths may treat a wide range of patients, from children to the elderly. They can assist pregnant women by helping to reduce back pain as well as readying the body for childbirth. After the initial consultation, a patient may need to see the osteopath only once or twice more, or may need to come back for six or more treatments. At the next session, the osteopath will determine if the treatment made an improvement in the patient’s condition and based on the patient’s answer, will decide whether to continue with that specific treatment or to try a new approach. Myotherapy is the assessment, diagnosis & treatment of musculoskeletal and neurological pain and injuries using a wide range of modalities tailored to each individual such as therapeutic massage, trigger point release, dry needling, cupping, myofascial stretching, joint mobilization. 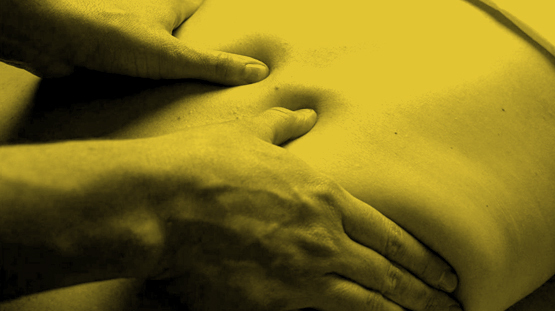 Remedial massage/Deep tissue massage focuses on the deeper layers of muscle tissue. It aims to release the chronic patterns of tension in the body, through slow strokes and deep finger pressure on the contracted areas, by either following or crossing over the muscle fibres, fascia and tendons. These types of massage therapy are usually used to specific problems associated with chronic muscular pain, injury rehabilitation, sporting and occupational injuries, RSI, and physical and mental fatigue. Dry needling is a therapy that uses fine needles applied to the musculoskeletal system in order to deactivate myofascial trigger points. A myofascial trigger point can be defined as a point of hyperirritability in a muscle that is painful when compressed and can cause referred pain, tenderness or motor dysfunction. 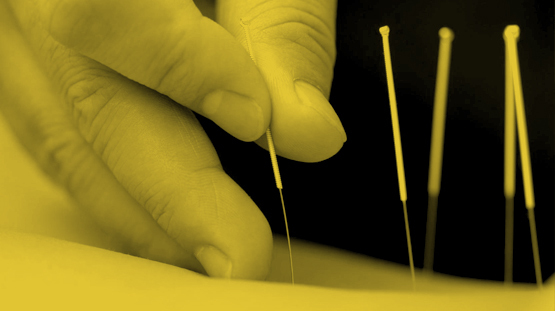 Dry needling is commonly used for treating conditions such as fibromyalgia, back pain, headaches and migraine, joint pain osteoarthritis, inflammatory conditions such as tendonitis, post surgery conditions, and acute or chronic trigger point pain. Cupping is used to expel toxins from areas of pain and tightness and uses glass cups, held by suction, to massage the body. The action on the nervous system can be sedating and the client can experience a deep state of relaxation. Traditionally the cups are placed on the back, shoulders and lower back. After treatment clients can experience a feeling of lightness and flexibility in the area which was creating pain or range of movement restrictions. Cupping can be either stationary or in massage. Stationary cups are left on the skin for 5 to 15 minutes to facilitate the release of stagnant blood, pathogenic factors and dispel internal heat. 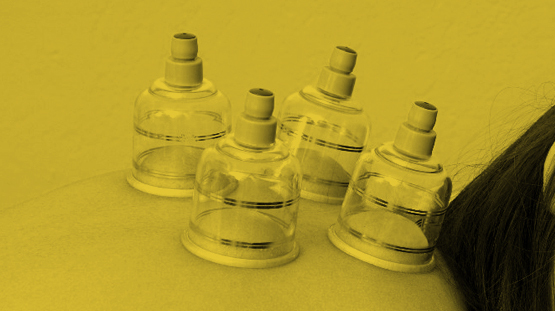 Massage cupping uses oil so the cup can glide over the skin to release tension and congestion in the muscles. Most cupping procedures will create a red to dark red circle on the skin but will disappear within a week. Other conditions that respond well to cupping massage therapies include: fibromyalgia, anxiety, insomnia, chronic pain, sciatica, and asthma.